We will examine, briefly, where and when these philosophies influenced Campbell’s thinking by looking at training received under his father, Thomas, and at the University of Glasgow. Then I want to trace how he developed and used these ideas and hopefully be able to appreciate his contributions to the Stone-Campbell Movement. Alexander grew to manhood in Northern Ireland, a country riven with strife and rebellion. This setting provided a hands on laboratory for learning lessons about freedom and toleration in both religious and civic arenas. He was born into a family abounding in love and deeply devoted to learning, with a rich heritage from both Highland Scot and French Huguenot. The first decade of his life had been one of Ireland’s most troubled in memory. He was ten when the Irish Rebellion came to a tragic end in 1798. This period produced an incident he would never forget. His father, Thomas, was preaching when some Welsh horsemen rode up and surrounded the church building being certain they had stumbled upon a band of rebels. Thomas began to pray the words of the forthy-sixth Psalm as the captain stood in the aisle. The captain bowed his head until the close of the prayer and quietly left . Thomas required members of his household the daily memorization of Scripture to be recited at the evening hour of prayer . In early school work, Alexander was not an impressive student so his parents withdrew him. But after a short time he announced his intention of becoming “one of the best scholars in the kingdom” so father Thomas began to tutor him . In preparation for the university Alexander received a thorough baptism in the liberal arts. He began to study Greek and Latin. To his memory bank of Scripture he added classics like Homer, Horace, Shakespeare, Milton, Young, Pope and Addison. His special favorite was the witty Dr. Samuel Johnson and the romantic cadences of Ossian. By the time he was fourteen he could quote the whole of Paradise Lost and most of Aesop’s Fables … in French! At age fourteen he made his first independent religious inquiry. With the death of three brothers and sisters, he reasoned on the “tenant of elect and non-elect infants.” He would describe this forty years later “there is nothing more repulsive in the human mind than the doctrine of infant damnation. It was the first item of Calvinistic faith at which my infant soul revolted” . In 1804 Thomas moved his family to Rich hill where he opened an academy. Alexander, age sixteen, was proficient enough to become an instructor. At this point his father introduced him to the works of John Locke and the future Reformer began one of his most exciting intellectual adventures. He read Letters on Toleration and drank in Locke’s concepts of religious liberty and toleration . In Essays Concerning Human Understanding and in Locke’s empirical philosophy, a world of experiment, observation and reason, the young thinker found the basis of his method. Richardson notes “He advanced in age and learned greatly to admire the character and works of Locke, whose ‘Letters on Toleration’ seem to have made a lasting impression on him and to have fixed his ideas of religious and civil liberty. The ‘Essay on Human Understanding,’ he appears to have thoroughly studied under the direction of his father” . Later Campbell would call John Locke “the Christian Philosopher” . It will be shown that Campbell’s basic epistemological position comes directly from Locke. When Alexander was nineteen, his father set out to America and the following year the family was to join him. But by the means of a shipwreck, Alexander and the rest of the family were stranded, providentially, in Glasgow Scotland. Upon his mother’s suggestion, he entered the university. The University of Glasgow was nearly three hundred and fifty years old when Alexander arrived being founded in the fifteenth century by Pope Nicholas V. It as in the midst of an intellectual renaissance being a brilliant period in literature, philosophy, commerce, economic and social science as well as religious. The faculty outstripped those of Oxford and Cambridge with such luminaries as Adam Smith, Thomas Reid, and George Jardine drawing students from all over Europe. Skepticism and rationalism, espoused by David Hume, was rampant in England and the continent but Scotland stood as a stronghold of faith. The teachers were more or less successful in relating the principles of inductive reasoning to the Christian faith, while other universities were sacrificing either one or the other . Campbell, already imbued with Locke, was thrust into this atmosphere and this would effect his thinking for the rest of his life. Alexander received training in “Scottish Realism” and Baconian induction under George Jardine, a close friend and student of Thomas Reid. His course in logic was divided into three parts: 1) explanation of the methods of improving faculties of knowledge; 2) focus on improving faculties of taste; 3) was directed to improving rhetoric. Jardine argued that the faculties of the mind could be studied by the Baconian Method. Jardine’s division of the faculties of the mind followed Locke very closely indicating that the Realists were Lockeans. The powers of knowledge were 1) the simple faculties were sensation and ideas acquired by perception, attention, reflection and abstraction; 2) the sensations and ideas which were preserved by memory and imagination; and 3) the complex powers were agreements, disagreements, and relations among ideas discerned by judgement and reasoning. He argued, with Locke, that the imagination cannot create new knowledge, but that it depends on experiences in the past . The most important aspect of Campbell’s training was in the Bacanonian interpretation of the history of logic. There are two forms of logic according to Jardine, natural logic and artificial logic. Natural logic means improving the powers of judging and reasoning without the assistance of general rules. People learn more from artificial logic though than with natural logic. Artificial logic is “the art of training the faculties of man by the discipline of rules and precepts, instructions and example.” This method according to Reid and Jardine did away with the need for “necessary inference.” The concept of inference refers to syllogistic reasoning or drawing conclusions in a deductive manner. This method of reasoning was employed in the Westminster Confession of Faith and was rejected by Campbell but later both he and other Restoration leaders incorporated it into their hermeneutic . In 1803, Jardine had Francis Bacon’s Novum Organon reprinted and used it as one of his text books. Bacon wrote of “the idols of the mind” or those fallacies that stem from tradition and faulty thinking that blind people to “facts.” “Idols of the tribe” stem from the slow mind that is satisfied and too lazy to think, and that accepts only traditions. “Idols of the Cave” relates to the habituated mind that finds security in the way it has believed and acted; it wants things kept simple, even if erroneous, so that preconceptions are kept intact. “Idols of the Market Place” are the pet words and phrases that are invented that shade one’s view of reality; it specialized in blurred, indistinct meanings. “Idols of the Theater” are fanciful theories and exotic philosophies that only confuse people of the real facts . Campbell believed he found such fallacies in the various sectarian creeds and theological speculations that only hindered one’s effort to understand the “facts” of the Bible. He was impressed with Bacon’s definition of a fact as “something said” or “something done.” Campbell adopted this as his own definition . Alexander Campbell learned his lessons well. Thirty-two years later at the founding of his own institution of higher education, Bethany College, he followed Jardine’s history of logic and philosophy. He condemned Scholastic and Aristotelian philosophy for its lack discovery and useless speculation. “It was,” Campbell said, “reserved for Francis Bacon … to strike out a new path to science.” This ushered in new discoveries “of the greatest importance” and represented a “solemn league and covenant between philosophy and common sense” . Of course this is “common sense” as defined by Scottish philosophers. The covenant between this common sense and philosophy represents a synthesis between Locke and Bacon/Reid. 1) They have mutually pledged themselves always to reason from what they do know to what they do not know. 2) That they will always and only employ the five senses in ascertaining sensible facts; and receive the testimony of any two or more of them as infallible, when it can be shown that they are in good health and circumstances to ascertain the facts in question. 3) That the internal sense of consciousness will always be regarded as a faithful and competent witness of the mental and moral facts of the inner man, as the five external senses are of the material and external facts and events are of the outward man. 4) That they will never form a science or build a system either on hypotheses or a priori reasoning. 5) That they will never affirm anything to be a law of nature which has not been ascertained by the observation and classification of facts, and of such a number and character as to leave no doubt of the universality of the facts and the principles developed in them. 6) That they will always receive the testimony of other persons who simply declare that they had seen, heard, or learned from their own experience when that testimony is free from suspicion of fraud or fiction. Campbell believed that “all men of true sense and education” would surely agree to this marriage between philosophy and common sense and would be lead by it “in every discussion of any question properly scientific” . When Campbell came to America, he found it much like Ireland and Scotland. Both suffered from religious division and were under the sway of the Baconian ideal of realism. Campbell, with his background in Locke and Bacon soon found a his niche. Most historians have observed that from about 1800 through at least 1860 America was dominated by Scottish realism, especially in the South. Philosophy, science, and religion used it as defense against Hume’s skepticism and similar ideas from Germany. It was first introduced by John Witherspoon at the College of New Jersey in 1769. After 1800 realists texts and thought had been introduced into most schools . These theologians were marked by four principal elements: 1) enthusiasm for natural science; 2) scrupulous empiricism built upon realist confidence in the senses; 3) deep suspicion of abstract thought and insistence of an inductive accumulation of “facts;” and 4) a celebration of “Lord Bacon” as founder of the inductive method . These characteristics clearly mark Campbell and the American Restoration Movement … our first college was even named Bacon College. Some have questioned the links between Campbell and the Scottish Philosophy however the evidence is so overwhelming it seems pointless to deny it. In his famous debate with Robert Owen, Campbell often appeals to “Lord Bacon” as the man who “laid down the foundation for correct reasoning.” He cites the five aphorisims and asserted he would “make the principles of inductive philosophy my rule and guide in the investigation.” Campbell demonstrated a revulsion for speculation and insisted upon the “facts” in true Baconian fashion . One might say this is not biblical interpretation. That is true, partially. But as will be seen, Campbell used this method in everything … including biblical study. For Campbell, the facts of nature and facts of revelation are to be studied using the same method. One inductively gathers the facts, then through reason extracts the truths contained within them. Campbell adopted this method for the sake of unity. “Great unanimity has obtained in some of the sciences in consequence of the adoption of certain rules of analysis and synthesis; for all who work by the same rules, come to the same conclusions and it may be possible that in this divine science of religion. There may yet be a very great degree of unanimity of sentiment and uniformity of practice amongst all it’s friends” . Bacon wanted to tear down dead medieval scholasticism and Campbell wanted to tear down creeds that hindered unity. Campbell, in his in depth study of Christian baptism, used the inductive method to produce his results. He said “the doctrine of the Bible, on a particular subject of inquiry, can be clearly and satisfactorily ascertained only by a full induction of that which is found in it upon the subject. When the induction is perfect and complete and fully comprehended on any one point, we never can have any more divine light upon that subject. This is our method of learning and of teaching what the Holy Spirit taught on any given subject” . The American Revolution created vast changes in North America. People were rebellious to the idea of authority – religious or political. People demanded a “new” or a populist hermeneutic . The Baconian method or commonly styled the “common sense method” was the new hermeneutic for the people. When Campbell finished his tour of England, he was pleased to quote a British Baptist regarding the latter’s evaluation of himself. “This is the first time that I have ever heard the Bible expounded and Christianity set fourth in the true Baconian method according to the inductive philosophy” . Baconianism grants the feeling of certainty to the conclusions one reaches. The method leads to a pragmatic approach to the Scriptures that, at times, produced a haughtiness in our relations with other seekers of the Lord. Induction, culturally speaking, was well suited for American readers of the Bible for we have a habit of respecting no one beyond ourselves. Richard Lints has noted well the irony of the inductive Bible hermeneutic … the illusion of reading only the Bible while setting ourselves up as the real authority. “The inductive Bible study approach may encourage individuals to read the Bible as they never have before, but it will also encourage them to read the text according to their own subjective interests. The Bible becomes captive to the whims of the individual freed from external constraints, and in such a situation the individual can imagine the text to say whatever he or she wants it to say. If our central concern in approaching the text is how it makes us feel or what it seems to be saying to us, then the church is doomed to having as many interpretations of the text as their are interpreters. In banishing all mediators between the Bible and ourselves, we have let the Scriptures be ensnared in a web of subjectivism. Having rejected the aid of the community of interpreters throughout the history of Christendom, we have not succeeded in returning to the primitive gospel; we have simply managed to plunge ourselves back to the biases of our own individual situations” . Interpreters like Alexander Campbell, and his heirs in the Stone-Campbell Movement, were part of a larger cultural tide than we often imagine in Churches of Christ. This is especially true on the matter of hermeneutics. Campbell proposed a New Hermeneutic that was quite in line with the wider intellectual cultural current within the United States. It seemingly gave power to the people, it seemingly produced sure results on a number of burning spiritual issues of the day, it seemingly made the Bible alone the authority for all religious questions. But the New Hermeneutic failed. The use of this method failed to allow Campbell to address urgent moral (doctrinal??) issues like slavery . It failed to produce healthy teaching on the Holy Spirit. And most of all the hermeneutic failed to produce the continuity and consistency that Campbell was seeking for the unity of the church. Indeed Lints words quoted above have been demonstrated time and again and division rather than unity has resulted … time and again. This does not mean that Campbell was always wrong. I do not believe he was. What it means is that sometimes Campbell’s theological grasp was better than the hermeneutic which he used so frequently to seek common ground. Perhaps that last statement is actually a clue … Campbell sought common ground and sometimes his heirs have sought exclusive ground. Alexander Campbell, Memoirs of Elder Thomas Campbell, together with a Brief Memoir of Mrs. Jane Campbell (Cincinnati: H. S. Bosworth, 1861), 296-297. Robert Richardson, Memoirs of Alexander Campbell, 2 Vols. (Cincinnati: Standard Publishing), Vol 1, p. 354. A Debate Between Rev. A. Campbell and Rev. N. L. Rice (Lexington: A. T. Skillman & Son, 1844), 674. Campbell would reprint the entire text of Letters on Toleration in the Millennial Harbinger during the year 1844. Richardson, Memoirs Vol 1, pp. 33-34. 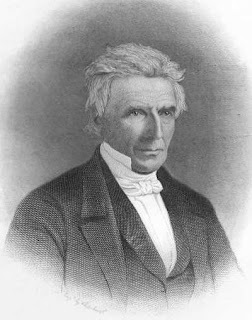 Alexander Campbell, Popular Lectures and Addresses (Old Paths Book Club), 104. For Campbell at Glasgow see, Lester McAlister, Alexander Campbell at Glasgow University, 1808-1809 (Nashville: Disciples of Christ Historical Society, 1971) and Eva Jean Wrather, “Alexander Campbell’s ‘Beau Ideal’:The Making of a Reformer,’ Restoration Quarterly 30 (1988), 75-83. See Michael Casey, “The Origins of the Hermeneutics for the Churches of Christ, Part Two: The Philosophical Background,” Restoration Quarterly 31 (1989): 193-206. Fredrick Copleston, A History of Philosophy vol 3 (Garden City, NY: Image Books 1963), 103ff. For an interesting discussion of the “Idols of the Mind” see Emil Brehier, The Seventeenth Century: Philosophy (Chicago: University of Chicago Press, 1938), 31ff. Alexander Campbell, “The Confirmation of Testimony,” Millennial Harbinger (January 1830), 9. A. Campbell, “Introductory Lecture,” 64. ibid., 65. Of special interest is Campbell’s essays “On Logic,” on the “Socratic Method,” and “On the Syllogism,” in Campbell at Glasgow, 1808-1809, 35, 58, 72. Sydney E. Ahlstrom, “The Scottish Philosophy and American Theology,” Church History 24 (1955): 257-272. C. Leonard Allen, “Baconianism and the Bible in the Disciples of Christ: James Sanford Lamar and ‘The Organon of Scripture,'” Church History 55 (1986): 65-80. A. Campbell and R. Owen, Debate on the Evidences of Christianity, containing an examination of the “social system” and all systems of skepticism of ancient and modern times (Nashville, TN: McQuiddy Printing) vol 2, 248-249, 4-6, 13-24. Alexander Campbell, Christian Baptism, with it’s Antecedents and Consequences (Nashville, TN: Gospel Advocate, 1951), 184-185. Nathan Hatch has traced this out clearly in “The Demand for a Theology of the People,” Journal of American History 67 (1980): 545-567. See George Marsden’s essay “Everyone One’s Own Interpreter? The Bible, Science, and Authority in Mid-Nineteenth-Century America,” The Bible in America: Essays in Cultural History (New York: Oxford University Press, 1982), eds Nathan O. Hatch & Mark A. Noll. Alexander Campbell, “Preface,”Millennial Harbinger (1848), 4-5. Richard Lints, The Fabric of Theology: A Prolegomenon to Evangelical Theology (Grand Rapids: Eerdmans, 1993), 93. See D. Newell Williams perceptive study “Disciples Biblical Interpretation and the Fugitive Slave Law: Ovid Butler vs. Alexander Campbell,” Encounter 59 (1998): 3-22. For the wider setting see Mark A. Noll, The Civil War as a Theological Crisis (Chapel Hill: University of North Carolina Press, 2006). This entry was posted on Sunday, February 19th, 2012 at 4:26 am	and is filed under Alexander Campbell, Bible, Hermeneutics, Restoration History. You can follow any responses to this entry through the RSS 2.0 feed. You can leave a response, or trackback from your own site. Thanks again Bobby for another great post. In the spring of 1966, Foy Wallace came to my home congregation in Pocahontas, Arkansas and held a meeting. He spoke typically for an hour and a half. I was a little short of 16 years of age. He was colorful and kept my interest. He told interesting stories and gave humorous illustrations. One was a defense of having kitchens in the church building. He noted that it was considered OK by the detractors to have restrooms in buildings and to have dinner on the grounds. He said that if it is alright to take in on the outside and eliminate on the inside, then the reverse ought to be sanctioned also. Or something like that. The first sermon during that meeting emphasized the error of the Revised Standard Version (RSV). Then later on as I recall, no matter what he was talking about on a given evening, he would quite often come around to throwing in a quip that the RSV was not a version but a perversion.